1. 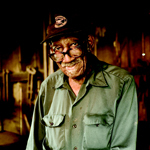 Philip Simmons (1912-2009) The “Keeper of the Gates” kept the tradition of ornamental ironwork alive, instilling pride in our decorative arts. Both the National Museum of American History at the Smithsonian Institution and the Museum of International Folk Art in Santa Fe have acquired his work. 2. 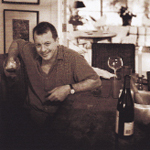 David Rawle (b. 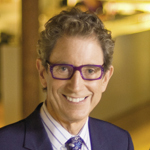 1940) The man behind the purple glasses is also the man behind the scenes of Charleston’s most important happenings since 1975, including the inception of Spoleto Festival USA (1977) and the handling of communications following Hurricane Hugo (1989). 3. 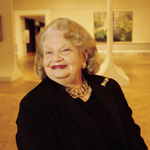 Mrs. Mary Croghan Ramsay (1921-2009) This gem of a human being advocated for the mentally disabled, gave generously of her time and the wares in Croghan’s Jewel Box to support local nonprofits, and embodied Charleston hospitality for newcomers to town. 4. 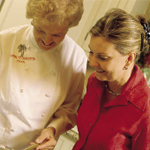 Mrs. Frances Ellison Hamby One of the first—and for some, the only—caterers in town, she opened Hamby’s Catering in 1979 and has since been the Old Guard’s source for wedding, deb ball, and cocktail party fare, like her signature pimiento cheese and shrimp paste sandwiches. 5. John Martin Taylor (b. 1949) He wrote the book on Charleston cuisine—Hoppin’ John’s Lowcountry Cooking—in 1992 and continued to showcase it in articles penned for magazines such as Saveur and Gourmet. 6. Mrs. Emily Whaley (1911-1998) The spirited gardener, matron, and teacher introduced the outside world to local mores in Mrs. Whaley and Her Charleston Garden in 1997, nurturing life lessons alongside her roses and confederate jasmine. Her follow-up, Mrs. Whaley’s Charleston Kitchen, continued to entertain with wit, opinion, and charm. 7. 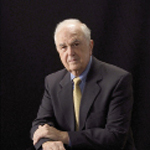 Dr. Marcus Newberry (b. 1938) As the dean of the College of Medicine at MUSC, he founded the Cooper River Bridge Run in 1978 to promote health and fitness in Charleston. Thirty-two years later, nearly 40,000 participants are in pursuit. 8. 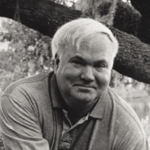 Pat Conroy (b. 1945) Through nine books of fiction and non—from The Boo (1969) about The Citadel’s Corps of Cadets to South of Broad (2009), the saga of friendship and family secrets—he has transformed the Carolina coast into a poetic backdrop for damaged characters, fixing our region in the hearts and minds of readers around the globe. 9. Mary Jackson (b. 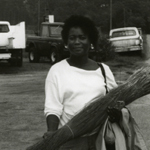 1945) She took the Gullah craft of coiled basketsewing and made it fine art. Her baskets have been shown at the Renwick Gallery of the Smithsonian American Art Museum and the Museum of Arts and Design in New York. In 2008, she was named a MacArthur Foundation fellow. 10. 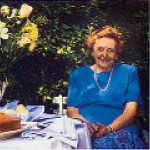 Margot Freudenberg (b. 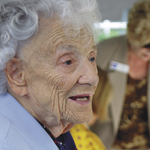 1907) Since her arrival in Charleston in 1940, this survivor of Nazi Germany has worked for a seemingly endless list of charitable causes, from the Association for the Blind and the March of Dimes to the American Cancer Society.